This entry was posted in Blog, New Whisky Releases and Bottlings and tagged Dufftown, Glenglassaugh, Jim Cryle, Single Malt, The WSD on 15 September 2010 by Mike. There's nothing better than a good dram. Unless it's one with a great story and celebrating the stars of whisky. Distillery bottling Glenglassaugh The Manager's Legacy Release No 1 - Jim Cryle 1974. 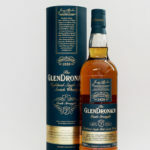 The first in a series of four bottlings to celebrate the achievements and influences of Glenglassaugh distillery managers during the period 1964 Ã¢â‚¬â€œ 1986. A single cask bottling at natural strength, without colouring or chill-filtration. The Jim Cryle release is limited to 200 individually numbered bottles from a refill sherry hogshead filled in 1974 during JimÃ¢â‚¬â„¢s time in charge.